According to the football legend, 5-time Ballon d’Or winner Lionel Messi is less “complete” than himself or Diego Maradona, citing Messi’s generally one-sided kicks and no headers. Brazilian football icon Pele has targeted Barcelona captain Lionel Messi in a taunting remark that he has just “one skill”. The legendary three-time World Cup winner claimed he was the better player and a more complete sportsman; however, at the same time singling out Diego Maradona, as also “a much better player”, than the Argentinian ace. “How can you make a comparison between a guy who heads the ball well, shoots with the left, shoots with the right and another who only shoots with one leg, only has one skill and doesn’t head the ball well?” Pele told Folha de Sao Paulo when asked about Messi, as well as the overall rating of the world’s most skilled and promising players. He pointed out that to effectively compare with his own professional achievements, one would have “to shoot well with the left, shoot well with the right, and score headers”. "As far as I’m concerned, Maradona was one of the best players ever. If you ask me, 'Was he better than Messi?' Yes, he was. Much better. [Franz] Beckenbauer, [Johan] Cruyff were also excellent players". Pele, meanwhile, heaped quite a bit of praise on his compatriot Neymar, who has recently been compared on many occasions with the 78-year-old star, whether in terms of the number of goals both brought to their national team, or the expectations placed on them in their home country. While recognising the Paris Saint-Germain forward’s talent and flair, he still urged him indirectly to stop his on-field theatrical performances, as these “complicate the gift the God of football gave him”, Pele recalled, telling Neymar. “It's difficult to defend Neymar for all the things he does besides playing football. I spoke with him and reminded him of his ability”, said Pele, who went on to ponder on nascent football stars and French player Kylian Mbappe, among others. “People compare me with Mbappe and there are similarities, right? But he is already 19. 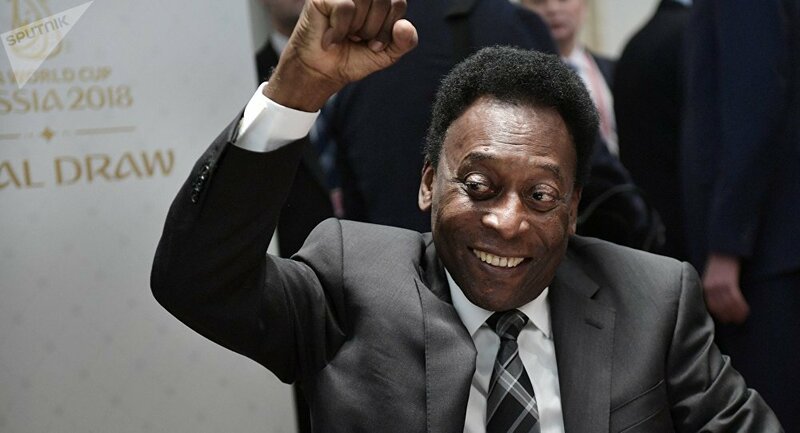 He won the World Cup”, he said, while going on to evaluate Neymar as “a more complete player” than Mbappe, who is wildly popular in Europe now, Pele remarked. Football: Can Claudio Ranieri Work His Magic at Fulham?